During the past few months, Botnet-based campaigns have sent waves of phishing emails associated with Dridex. Today, we'll examine a wave that occurred approximately 3 weeks ago. 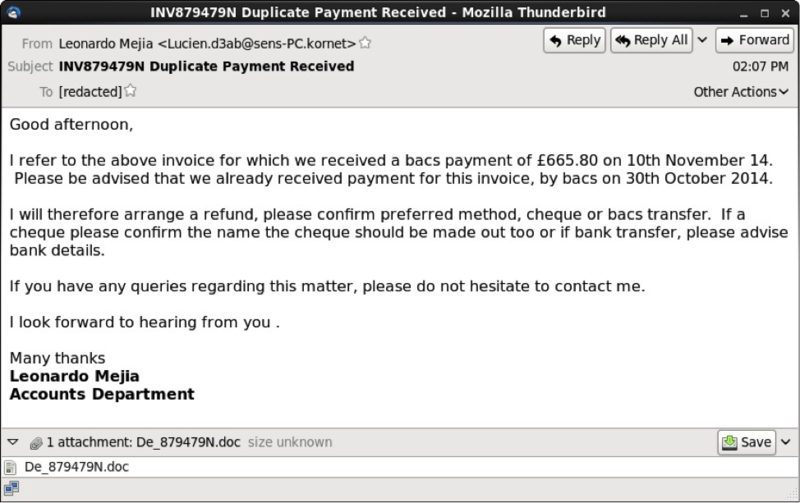 The emails contained malicious Word documents, and with macros enabled, these documents infected Windows computers with Dridex malware. Various people have posted about Dridex  , and some sites like Dynamoo's blog  and TechHelpList  often report on these and other phishing campaigns. Let's take a closer look at one of the November phishing waves. 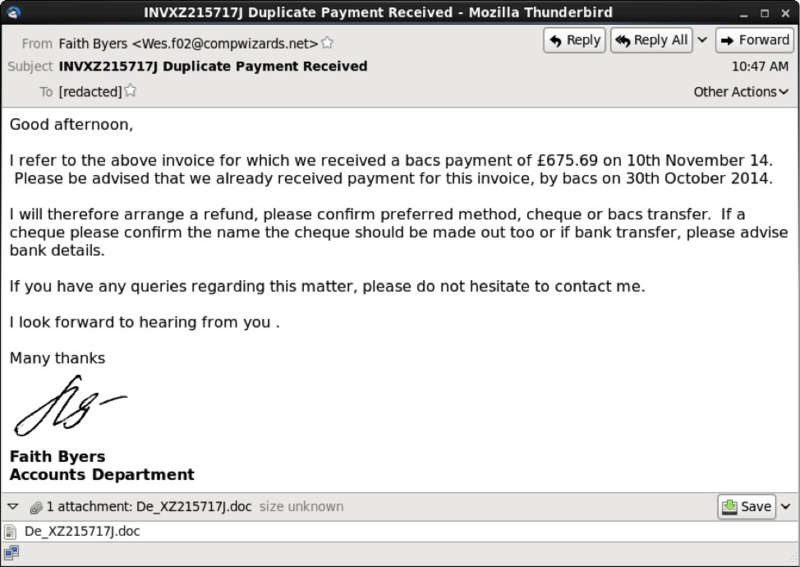 On 11 Nov 2014, I saw at least 60 emails with Duplicate Payment Received in the subject line. 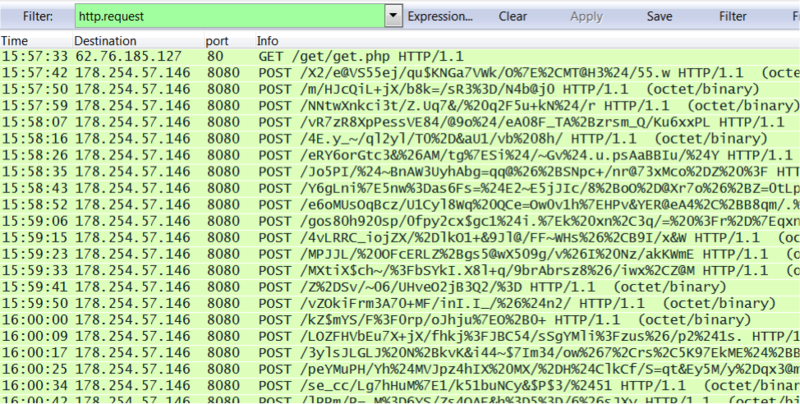 This appeared to be a botnet-based campaign from compromised hosts at various locations across the globe. These messages had an HTML component, and some also had an image displaying a written signature. After opening the attached Word document on a Windows host, Dridex was downloaded if macros were enabled. Post-infection traffic began shortly after the download. Shown above: infection traffic as seen in Wireshark. Shown above: events from Sguil in Security Onion.